Many successful businesses we look up to today have been there too. Sales hitting rock bottom, the business itself sinking deeper and deeper into debt, auctioneers at your doorstep, impending bankruptcy, you name it. But you know how they all weathered the storm? It’s simple. They never called it quits; they acted. 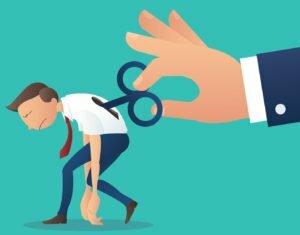 Understandably, watching helplessly as your small business falls apart can be really frustrating and, out of desperation, many of us end up making unwise choices. To revive a failing small business, you’ll need to do more than the obvious tricks like re branding. So, keep reading to learn how you can breathe new life into your small business. There’s also the psychological trap, where leaders or business owners focus exclusively on what made the business successful and fail to adapt to new changes. Also, not investing in your equipment or other systems that run your company is another way many businesses end up losing on new and relevant investments. Put simply, if a business doesn’t innovate or resists innovation, chances of it failing become high. At one point, all the companies on the list dominated the market in their respective fields; the great lesson any small business owner can learn here is to never make the same mistakes they made. Adapt to new changes, innovate your products and services, and also, rather than trying to deal with everything on your own, listen to your friends, family, employees, and business partners. Invite them to share any ideas that could help revive a failing small business. Each one of these items matter in turning around a failing company, but I think knowing your target audience is one of the biggest factors. Try to understand them by obtaining all the essential information that you can about them. You can speak to them directly through email or social platforms, and request them to share feedback on your services or products, plus any other suggestion(s) they may have. Also use creative and productive ways such as personalized video marketing to convert them. Facebook founder Mark Zuckerberg was once quoted saying that the only strategy guaranteed to fail is failure to take risks. If you hope to experience solid growth in your small business, forget about waiting for success to happen on its own. Go for it. What that means is you should not just confront but embrace risks and leverage them. It can be daunting at first, but then again, you will never access the good opportunities out there if you never try. This also doesn’t mean you should just take any risk that comes your way. It’s best to evaluate the potential gains and setbacks before making any decision. You can start by taking smaller risks. If there are gains, this will improve your confidence, and if things don’t go as you expect, the setback won’t necessarily be huge. Also whenever you take a risk, implement your plan fully and pursue it until you reach the final stage. To sum up, one uncomfortable thing every business owner or leader has to live with is that no business can be healthy all the time. There will always be wins and losses. There will also be turbulent times threatening to strip all your hopes away, but if you choose to innovate, refresh your marketing plan, scout for a business partner, and take on more risks, you will rise again, you will achieve growth, and also reach profitability. to be looking for. You’ve ended my four dayy long hunt! upon the top as well as defined out the entire thing with no need side effect , people can take a signal. curious if you get a lot of spam feedback? If so how do you reduce it, any plugin or anything you can advise? Simply wish to say your article is as amazing. The clearness in your post is just nice and i can assume you are an expert on this subject. Hi friends, its wonderful piece of writing regarding educationand entirely explained, keep it up all the time. Rattling nice design and fantastic content, absolutely nothing else we require : D.